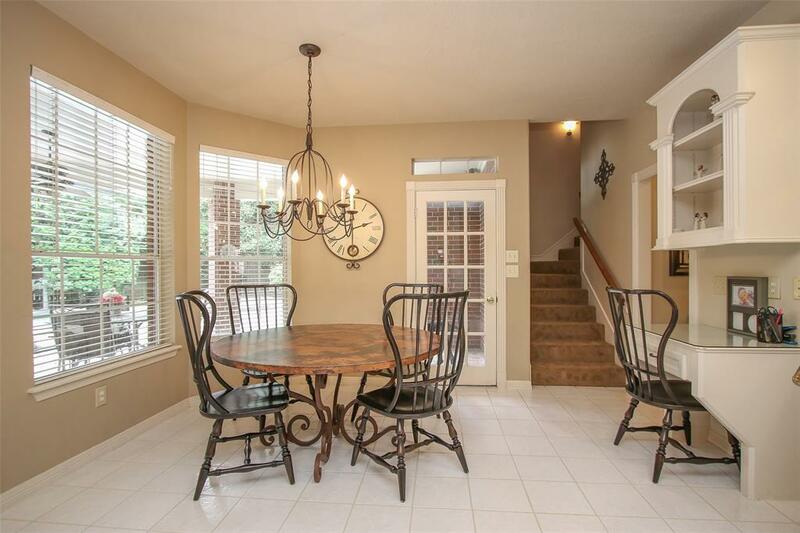 Beautiful home located on a large cul-de-sac lot! 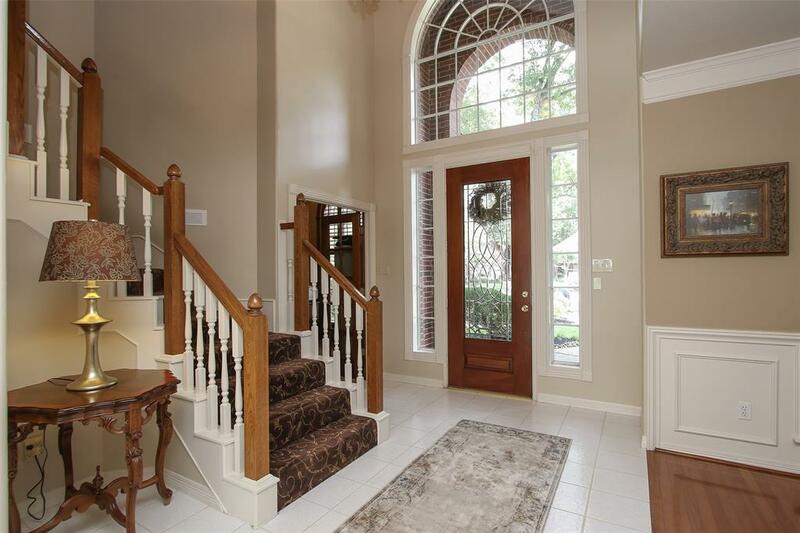 Elegant entry with brick pavers and Mahogany front door with beveled glass inset opens to this excellent floor plan! 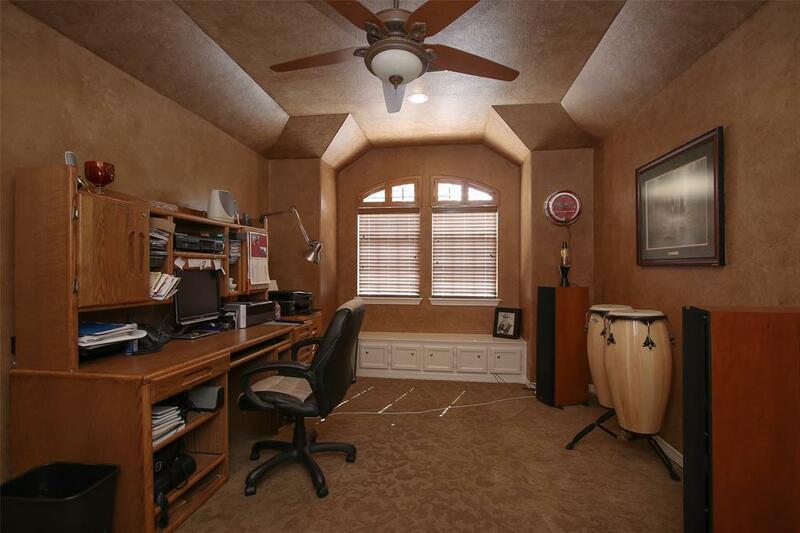 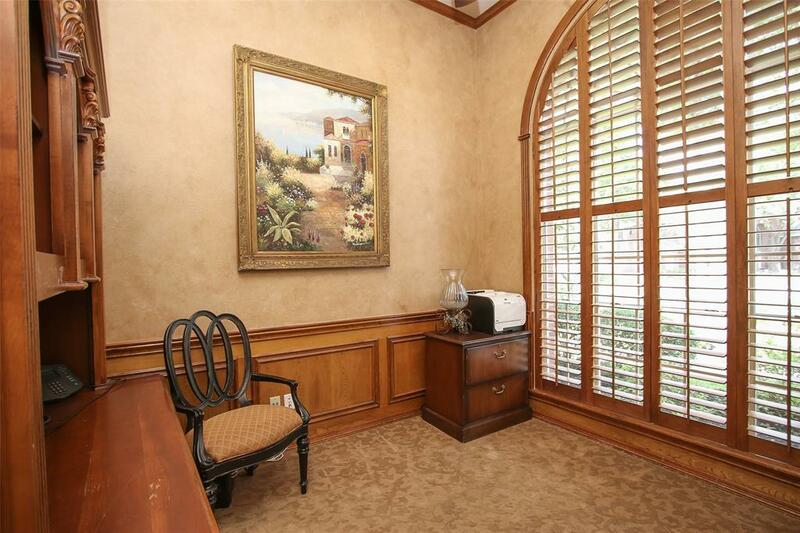 Private study with custom wainscoting & large arched window with wood shutters. 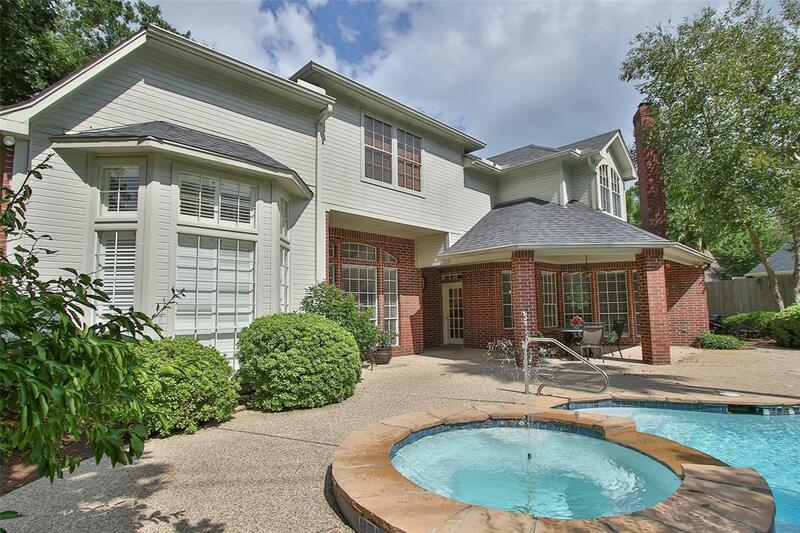 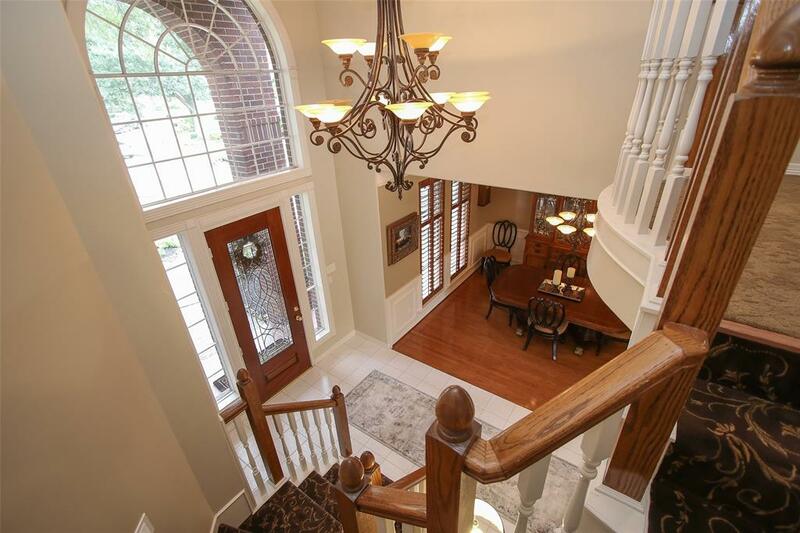 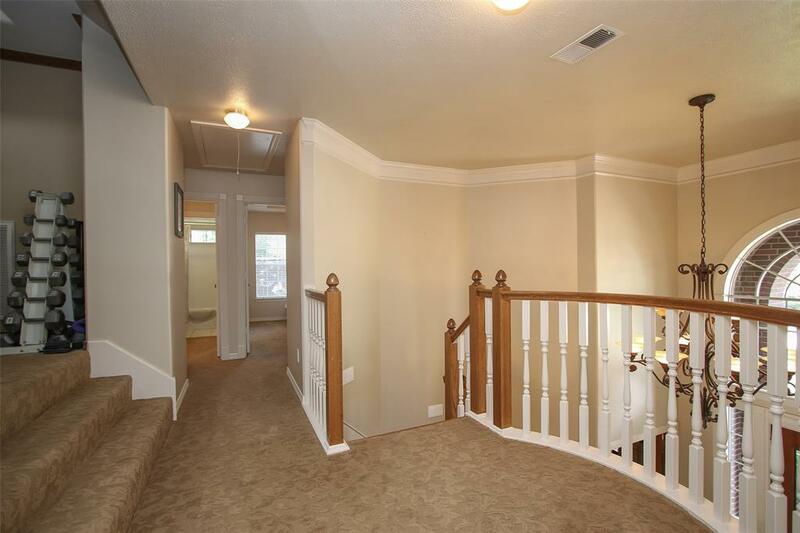 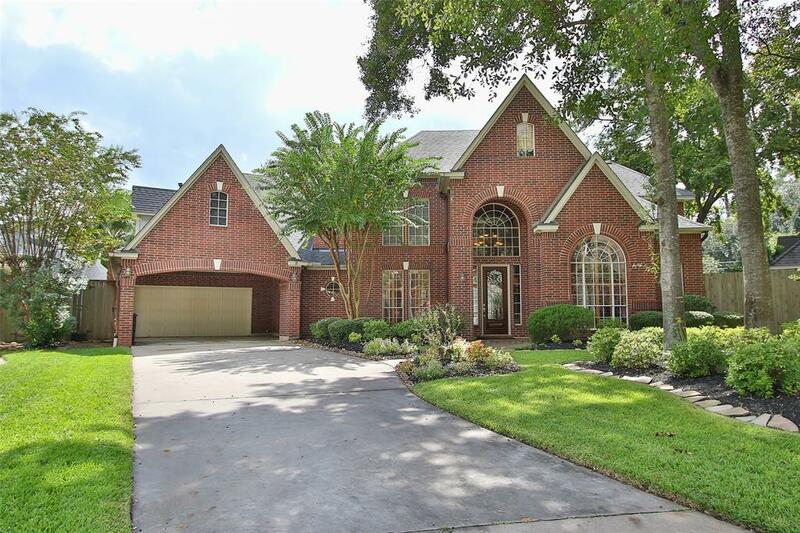 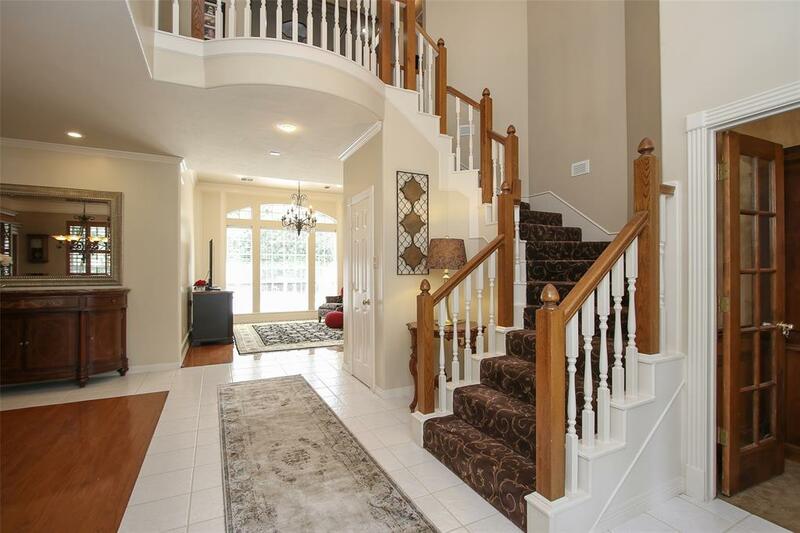 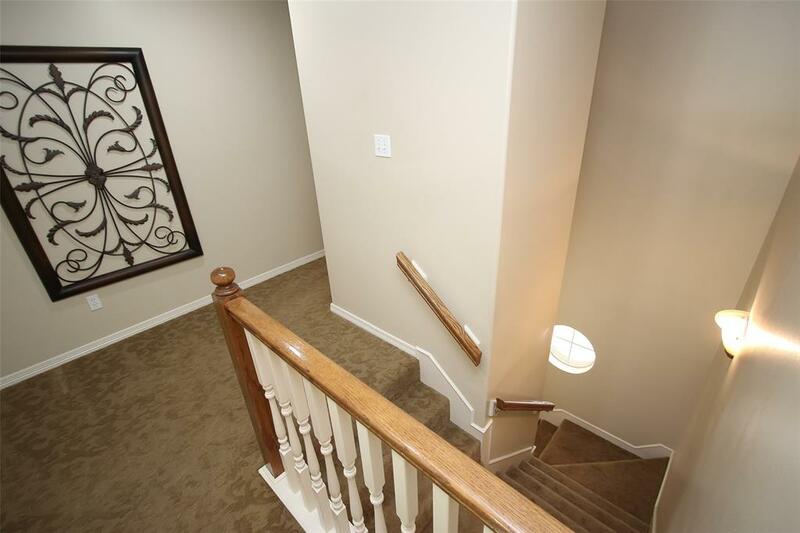 Open entry with spiral stairs enhanced by custom carpet, spacious formal dining room with custom wainscoting, crown molding and wood flooring plus views into the formal living area. 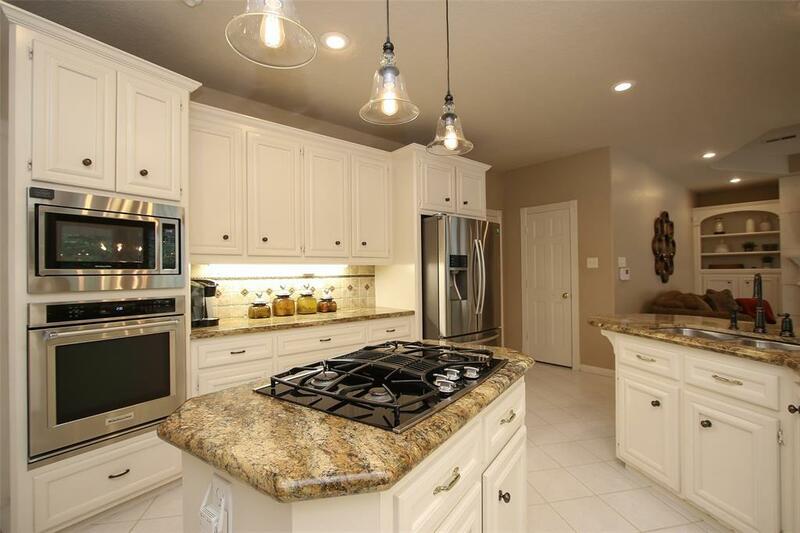 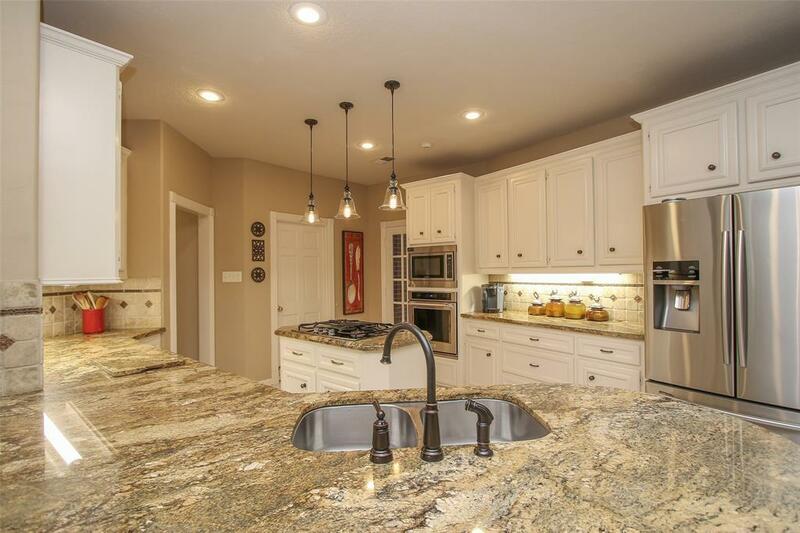 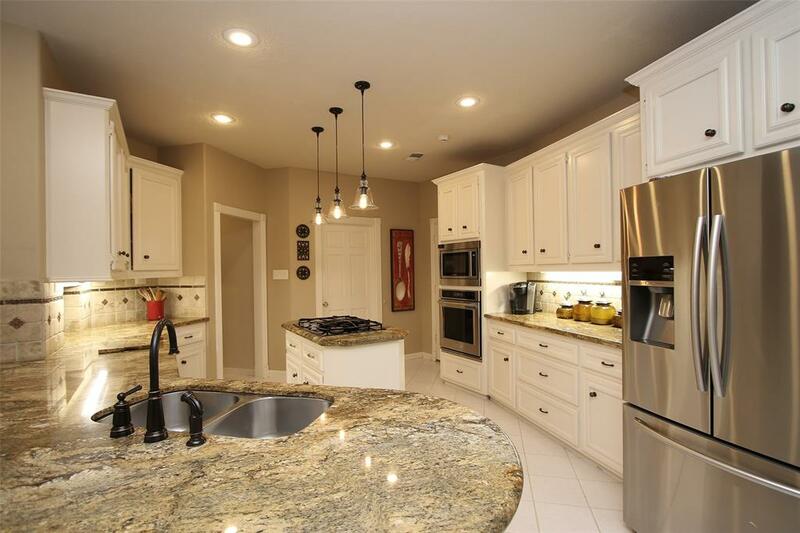 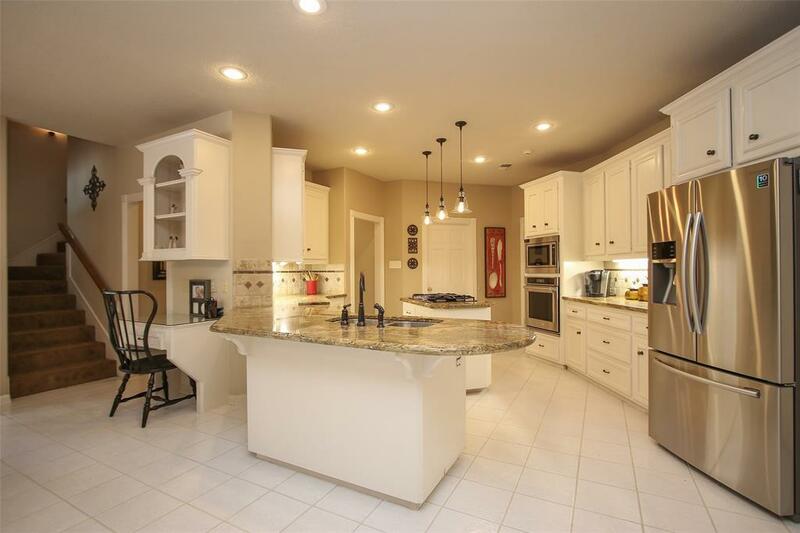 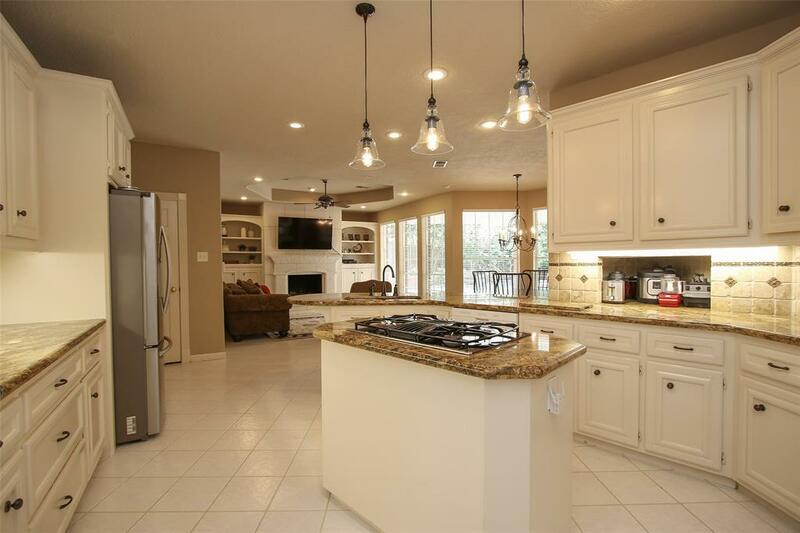 Large chef’s island kitchen includes stainless appliances, granite counters & custom tile backsplash, open to a great room with fireplace flanked by built-ins and eat-in area. 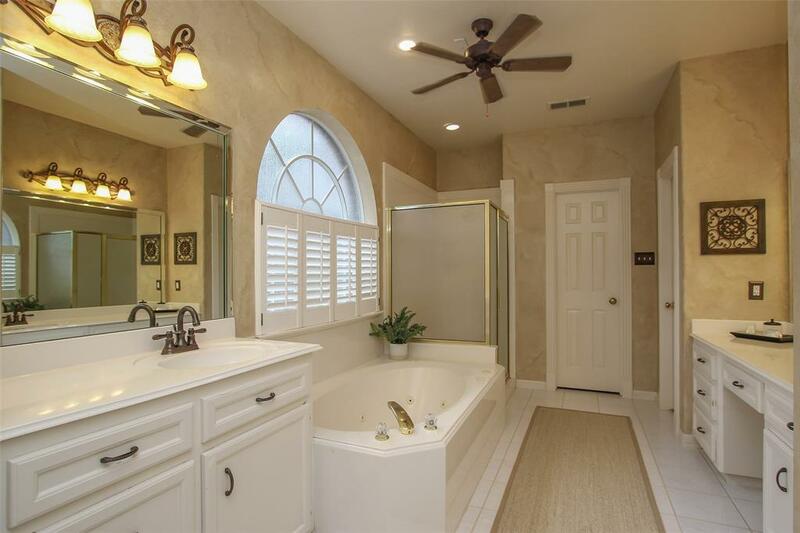 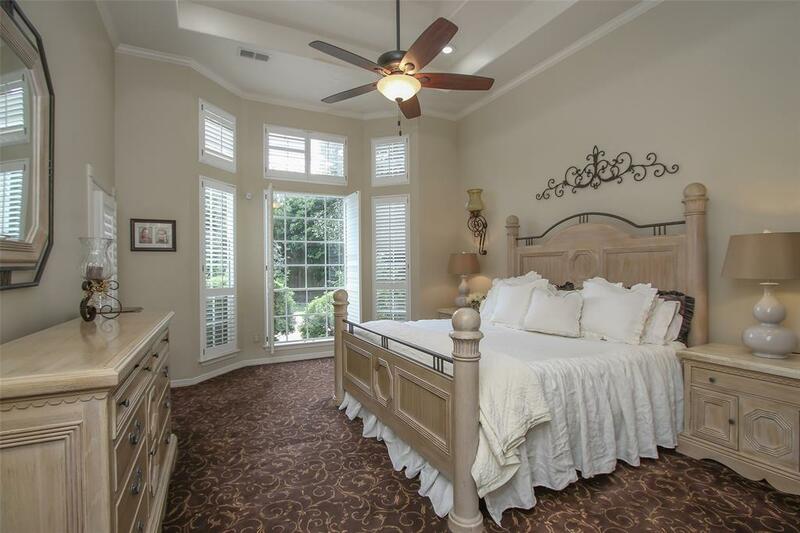 Wonderful master bedroom with great spa like bath! 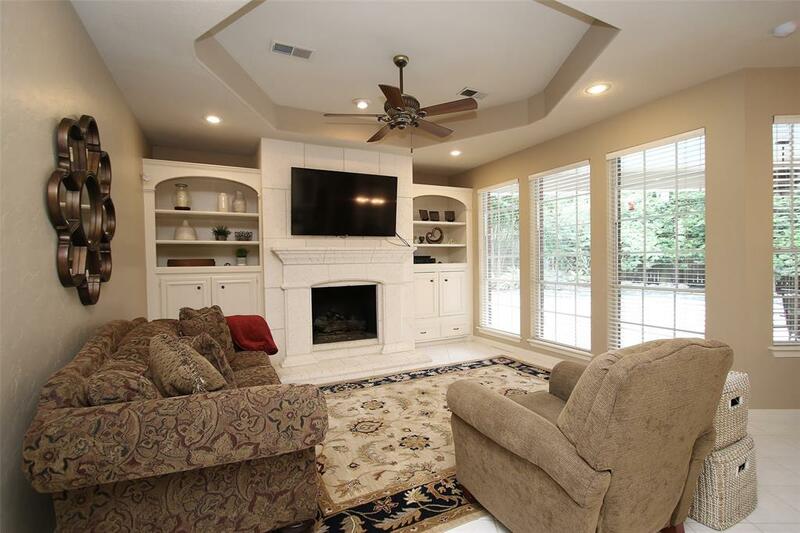 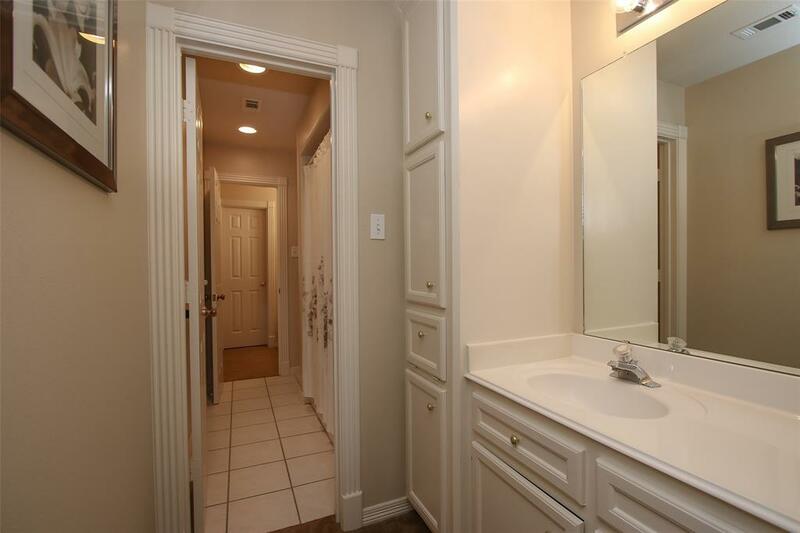 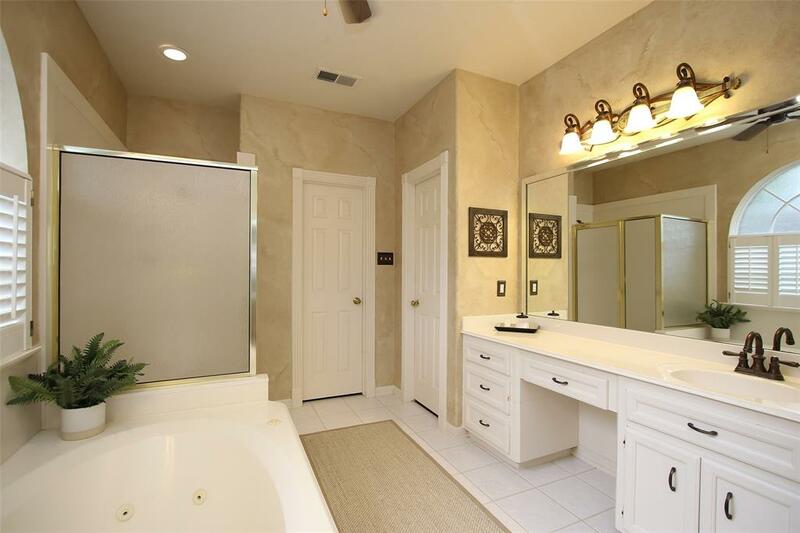 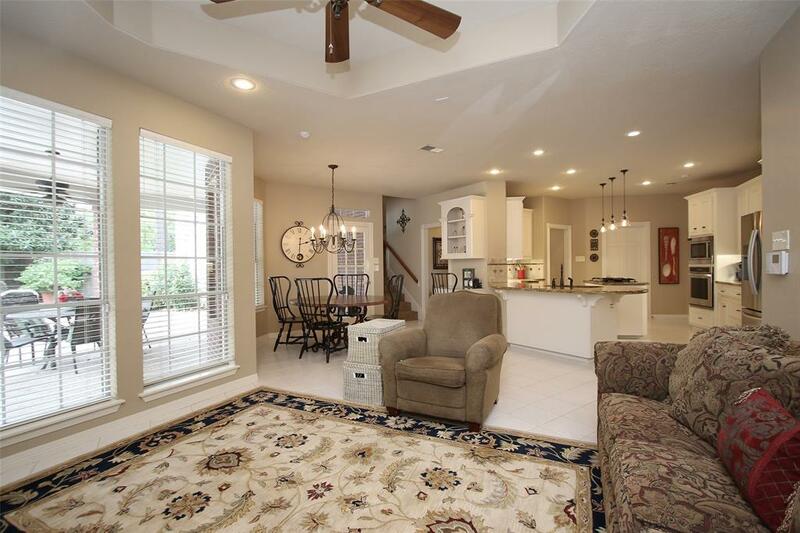 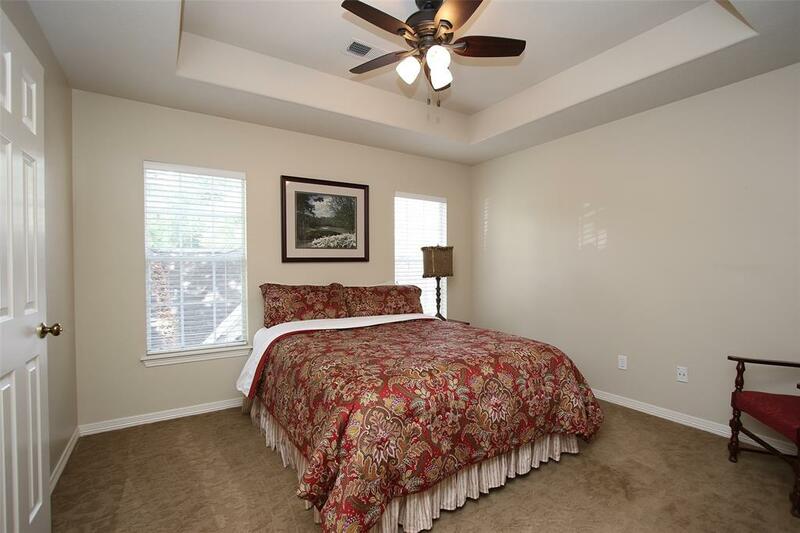 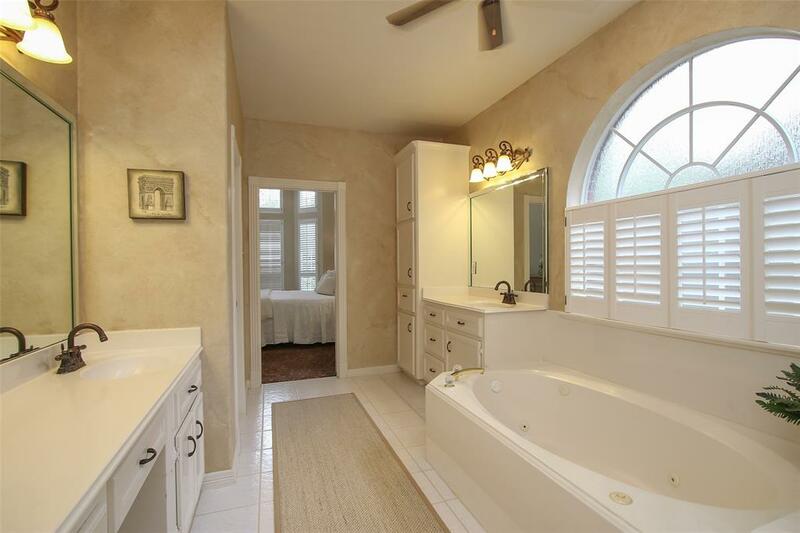 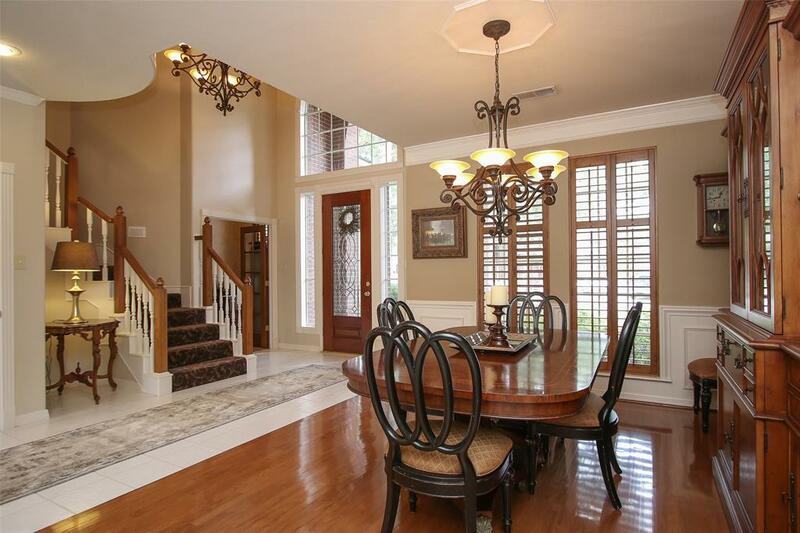 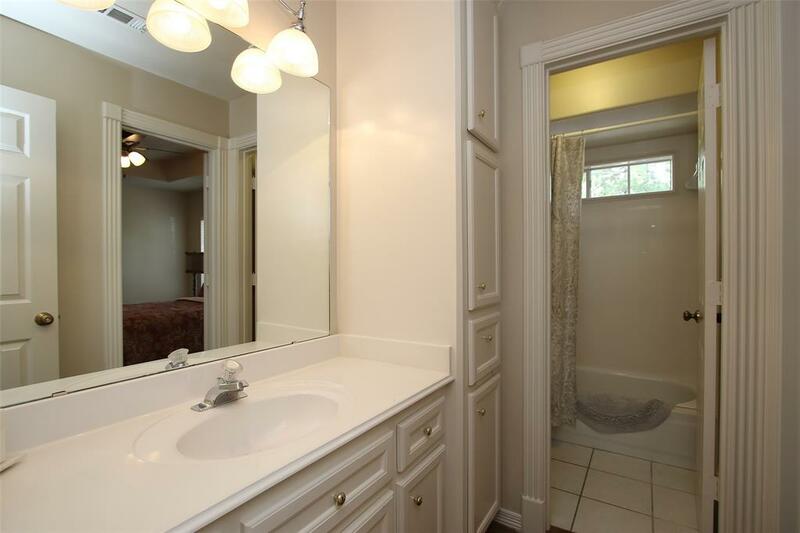 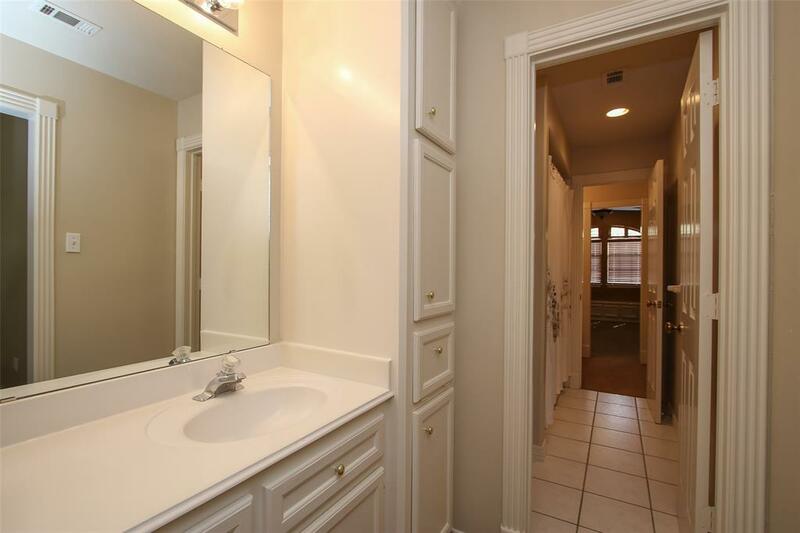 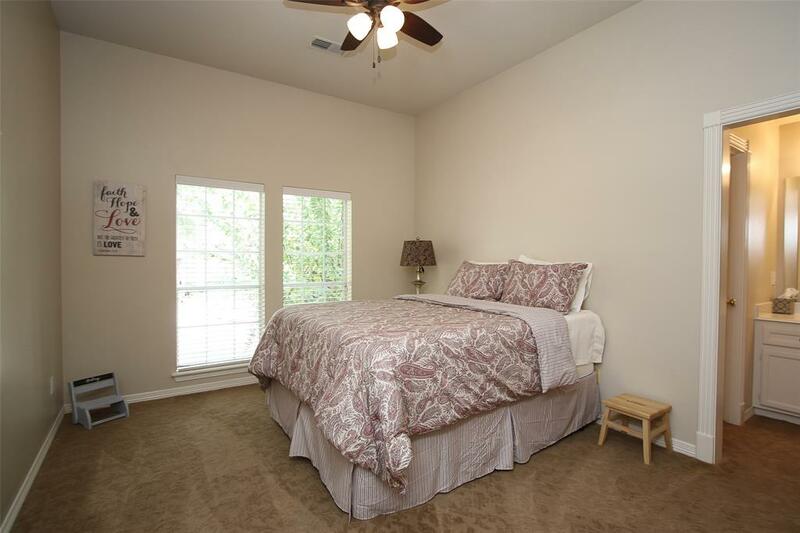 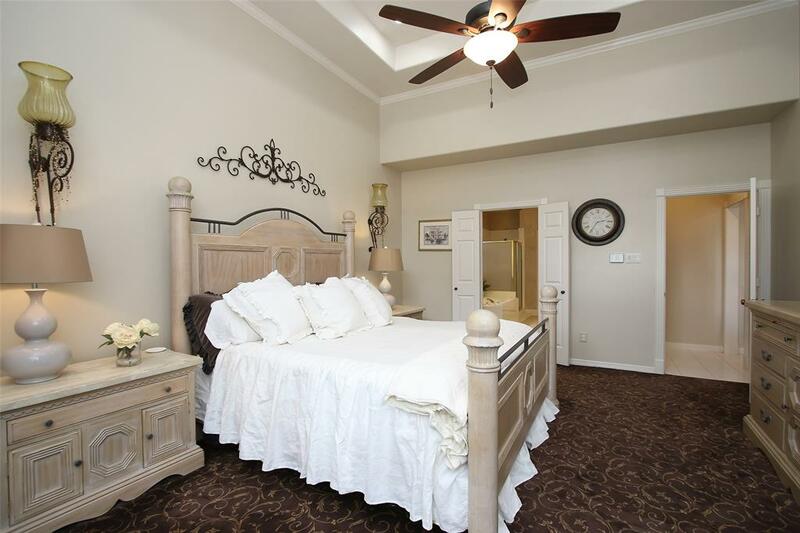 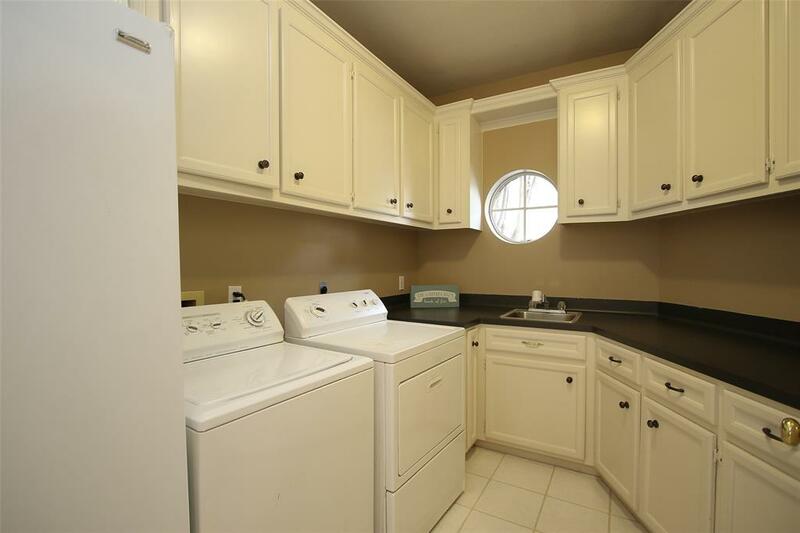 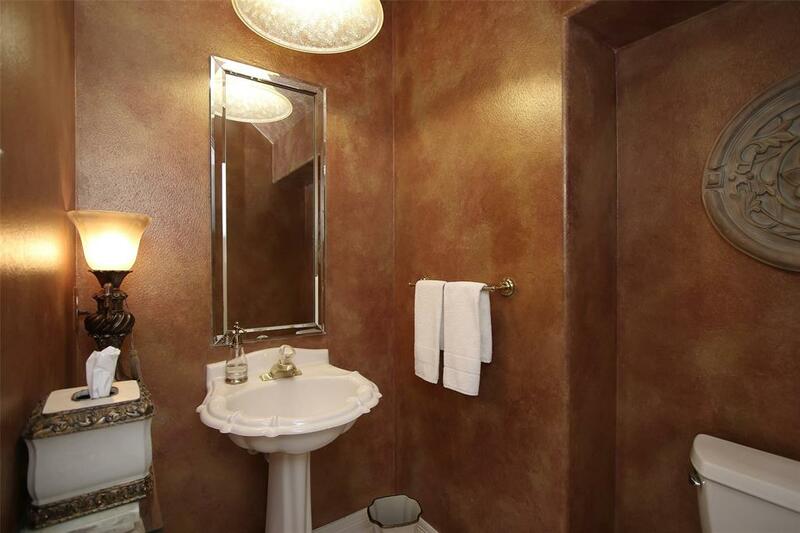 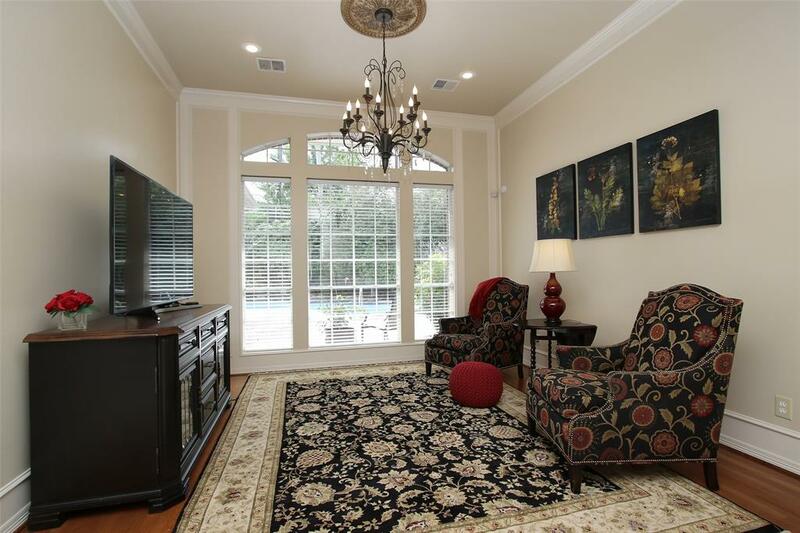 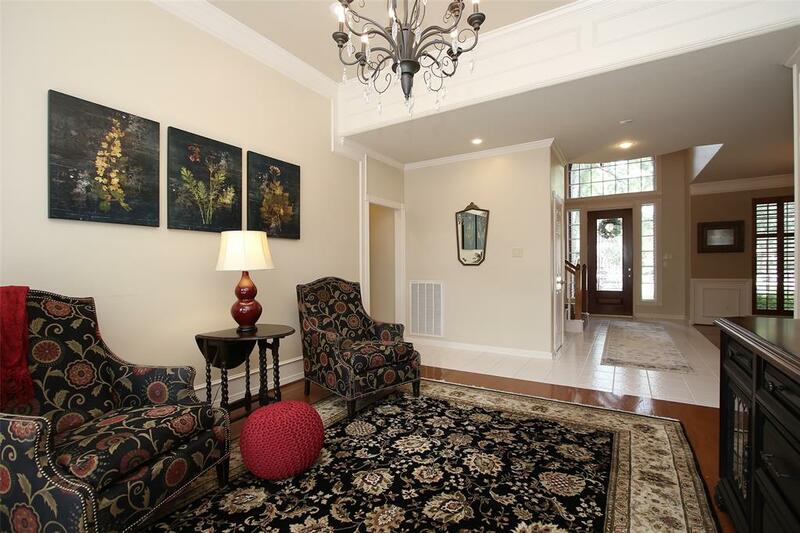 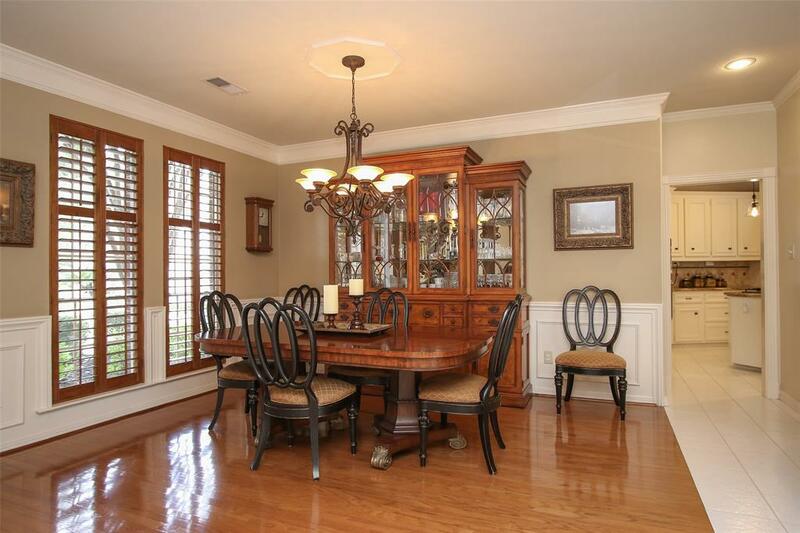 Custom carpet, wood shutters, crown molding, his/her vanities & closets + updated light fixtures add to this space! 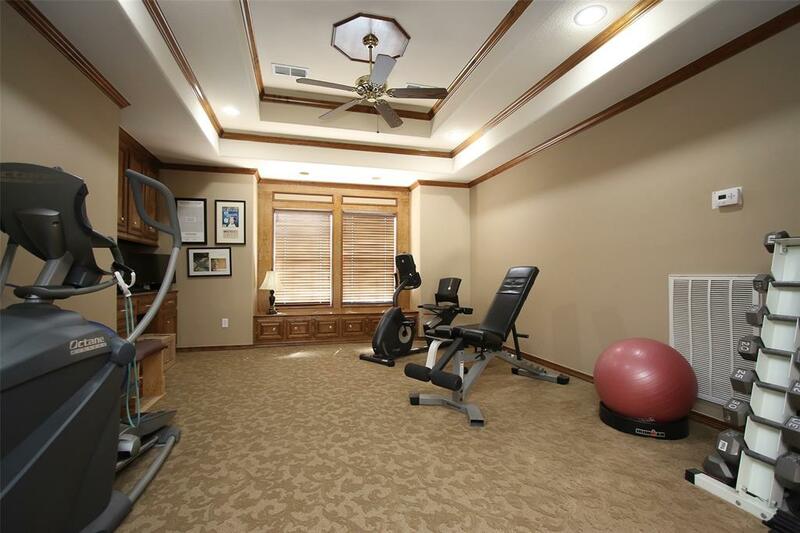 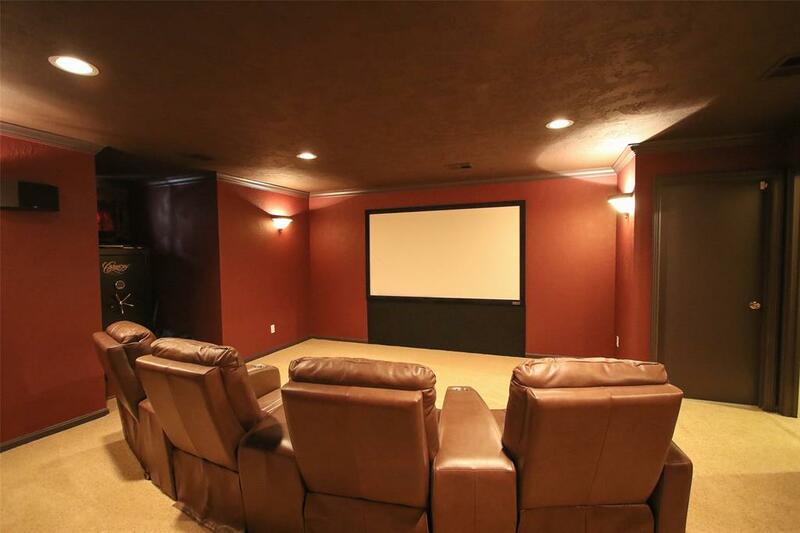 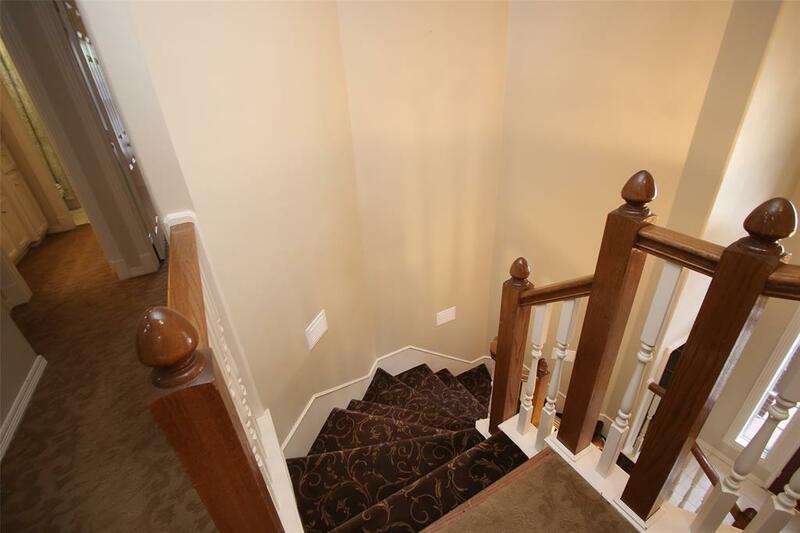 Game room, three secondary bedrooms, Hollywood baths and media room complete the second level. 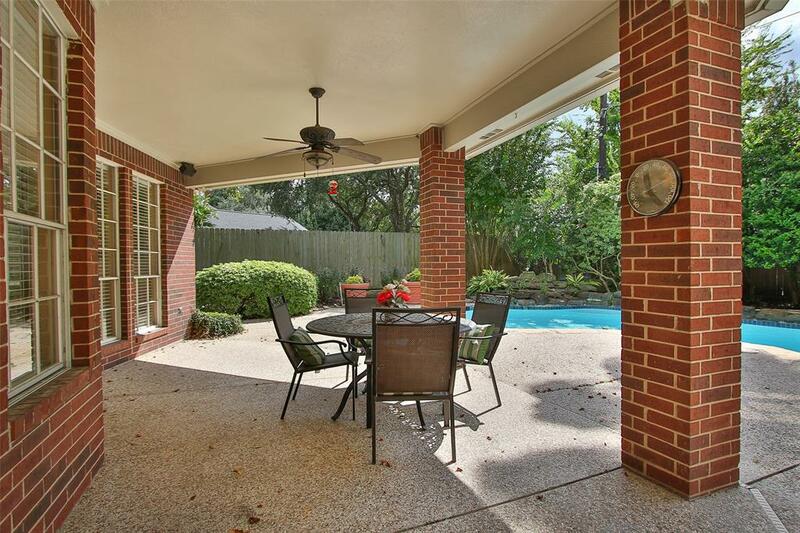 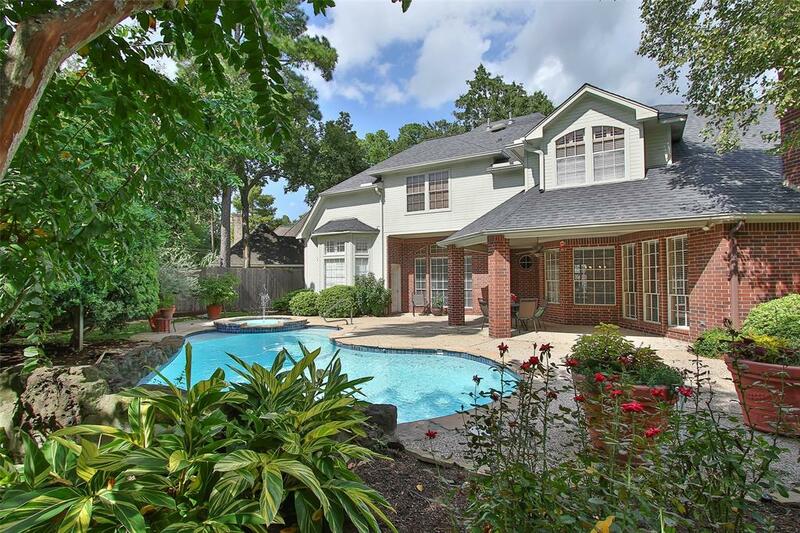 Covered patio overlooks private back yard paradise! 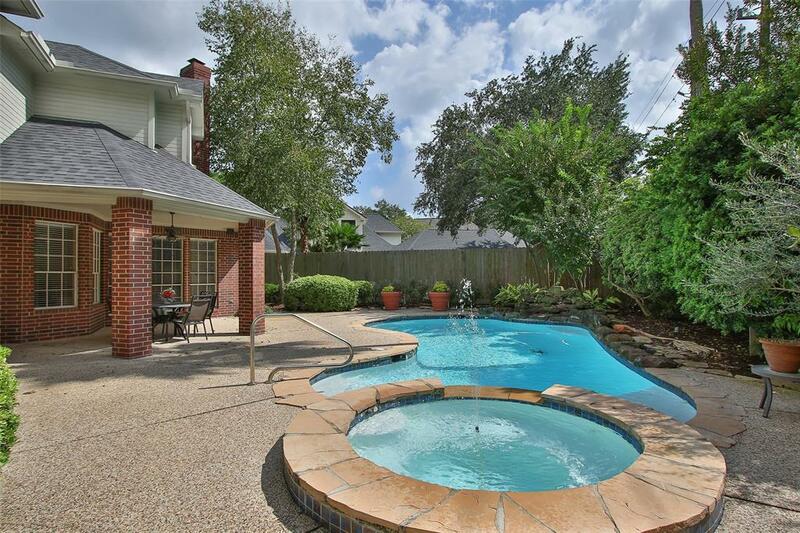 Park like backyard with pool & spa. 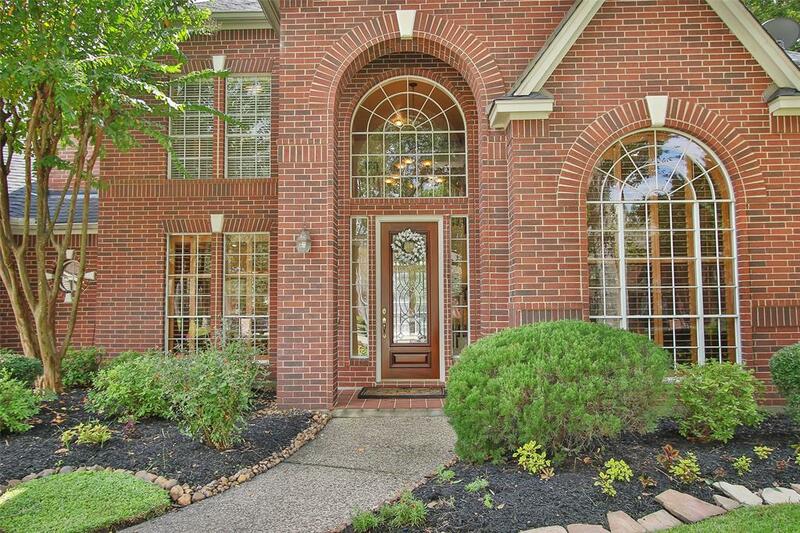 Make this special house your home today!